The BEST low carb tortilla chips recipe ever! These keto tortilla chips are made with just a few common ingredients that you have in your pantry right now. It’s Mexican night and you know the salsa and guacamole are going to be to-die-for, but what about the low carb chips? 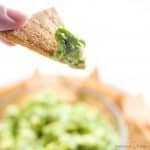 Can keto tortilla chips actually taste good and pair well with guacamole? In fact, you’re going to love this keto chips recipe – paired with Chipotle copycat guacamole – the next time you crave Mexican but want to stick with low carb tortilla chips and healthy fats! These homemade low carb chips are extra crispy and seasoned with your typical tortilla chip flavors. 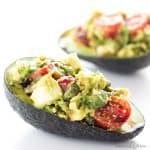 They’re the perfect vehicle for guacamole or your favorite salsa! Do you know what the hardest part is about going to Mexican restaurants when you’re eating low carb? 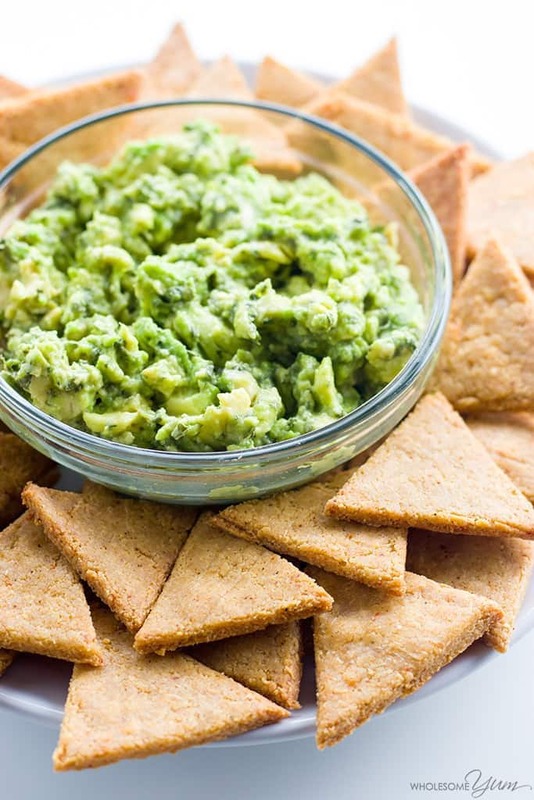 The tortilla chips and guacamole. Or more specifically, just the chips. There is arguably nothing that makes you wish for low carb tortilla chips more than a Mexican restaurant. They bring you this little bowl of guac, paired with a gigantic bowl of tortilla chips that you know you aren’t going to have. It’s overpriced, but everyone always orders it anyway, because guacamole is a must at a Mexican place. So, what you want to do is grab a spoon and take on the guacamole bowl all by yourself. But you don’t, because you wouldn’t do that… in public. And those crispy, delicious chips aren’t keto tortilla chips, so you take a pass. And you miss out. And that is why you need low carb tortilla chips in your life: no more missing out. These low carb chips are made with three main ingredients, plus some spices. Simple, right? With these ingredients, you’ll have no carb keto chips that are delicious and good for you. They come out crispy (not chewy… because ewwww, who wants chewy chips?) and flavorful. It only take about twenty minutes to whip up a batch of keto chips, and half of that is the cook time! Go ahead and preheat the oven before you get started, because it’s going to take maybe ten minutes to make the dough for your low carb tortilla chips. Mix together the almond flour and spices, then add in the beaten egg until you have a crumbly mixture. In the microwave, melt your shredded mozzarella until it’s soft and you can stir it. Combine the two. You might have to heat it again for a few seconds if you can’t thoroughly mix it quickly enough, but that’s okay. After this, roll out your low carb chips dough and cut your triangles. 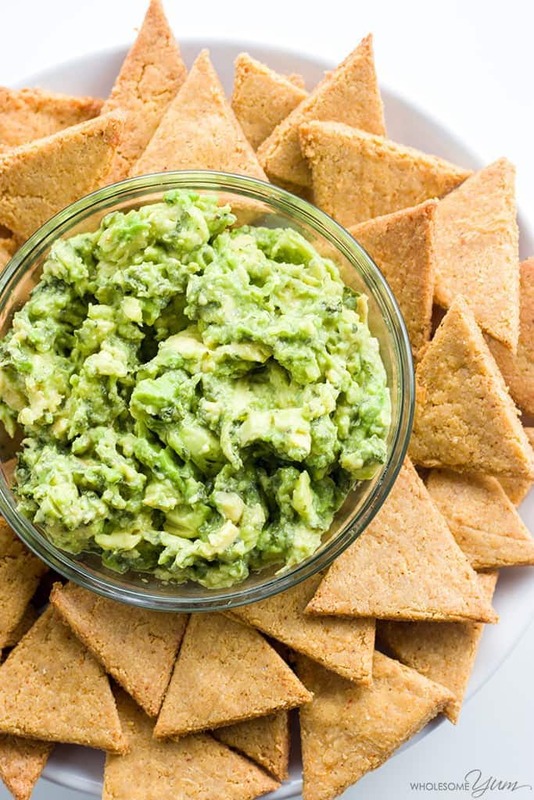 The hardest part of this entire keto tortilla chips recipe is waiting to eat them with the guacamole you’ve been dreaming about. If you’ve never made a keto chips recipe before, here are a few tips to save you some trial and error. 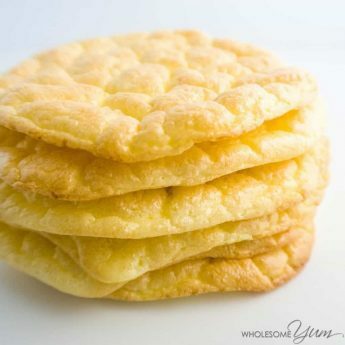 The process has a lot of similarities to paleo low carb crackers. They’re really simple to make, but following these guidelines will make your keto chips come out perfect. Roll the dough to even thickness. If it’s uneven, some parts won’t crisp up while others will burn…and while they’ll still be good, you’ll like them better if they’re all cooked well. If you see some start to burn while others aren’t done, you can take them out and leave the rest in the oven to finish. Roll the dough out as thin as you can. The thinner it is, the more chip-like they will be. If it’s too thick, they might not crisp up or will be more like crackers. And you want nice, thin, restaurant-style homemade keto chips. Choose the right size chips for your needs. Let’s not forget to contemplate the bigger question here: to dip or not to dip? Will you want to eat them all on their own… or dipped into salsa, guacamole, or some other sauce? Larger chips are better for dips, but smaller ones are perfect for eating on their own. I know, I know… the pressure is real, my friend. Don’t waste the leftover dough. If you have leftover dough after cutting up your low carb chips, you can press it together, form a ball, and roll out again to make more. How simple, right?! Use a pizza stone if you have one. For extra crisp low carb chips, make them on a pizza stone lined with parchment paper. Choose the right kind of almond flour. Use blanched finely ground almond flour to get the most authentic texture for your no carb tortilla chips. Almond meal will work, but they will resemble multi-grain crackers in taste and texture. Now honestly, I almost feel like this section is a waste of space. After all, we both know that these low carb tortilla chips are going to get eaten right away. They are, after all, irresistible and you know you’re just dying to have some no carb chips and salsa. But, if you’re planning ahead or just have really great self-control, you can store the chips for up to a week on the counter. Be sure to keep them in an airtight container. This is especially important to help keep them crisp. They’ll last a couple of days on the counter this way. If you want to get a head start and need them to keep longer, you can put them in your fridge for up to a week, or even in the freezer for longer. If you are refrigerating or freezing, the keto chips will likely soften just a bit. But no worries. If that happens, you can reheat in the oven at low temperature to crisp them right up! Usually, 10 to 15 minutes at 200 degrees F works well. Next time we want a treat, I’m proclaiming a (keto) Mexican night at our house! Of course, I’ll serve a big bowl of these gluten-free, keto tortilla chips, plus a big bowl of guacamole. They would also be really good with dairy-free cheese sauce – which is delicious even if you aren’t dairy free. To keep it low carb, just swap out the potatoes in the sauce with cauliflower instead (make sure to squeeze out extra moisture). Either way, low carb tortilla chips are a must. And maybe, just maybe, Mexican restaurants will catch on eventually. In a large bowl, mix together the almond flour and spices. Add the egg and mix using a hand mixer, until a crumbly dough forms. In a small bowl, microwave the mozzarella until it's melted and easy to stir. (Alternatively, you can melt it using a double broiler on the stove.) Add to the dough mixture and knead/squeeze with your hands until well incorporated. If it stops incorporating before it's fully mixed, you can reheat it for 15-20 seconds again before kneading more. Place the dough between two large pieces of parchment paper. Use a rolling pin to roll out very thin, about 1/16 in (2 mm) thick. Cut the dough into triangles and arranged on the parchment lined baking sheet. Bake for 8-12 minutes, until golden and firm. The chips may release some sizzling oil on the top - just pat dry with a paper towel. They will crisp up as they cool. Click or tap on the image below to play the video. It's the easiest way to learn how to make Keto Tortilla Chips! Just made these. Will make them again…they were great. It tasted like I was missing something, though (i didn’t have any cumin, maybe that’s what it was) and I felt I needed more salt. I will try to make the next batch thinner because i’m all about the crispness. Hi Valerie, They definitely need cumin for the flavor in my opinion, and without it you could need more salt. I haven’t tried deep frying them but I think you could! Love these chips and will definitely use the dough for other things such as pizza and cinnamon crackers. How would you store the leftover ones? Many thanks. Thank you, Pat! You can store them in an airtight container in the pantry for a few days, or refrigerate for longer. Hello, I just found your site and I’m excited to try these chips. I am wondering if, to make a larger (future) batch, if the recipe would work with making up the dough and either freezing the raw dough (ball or flat) or cut into triangles then freeze. Then thaw and bake as needed. Thoughts? Hi Kathy, Yes, you could do either of those options. I can’t wait to try this! Looking at the picture, it looks like tuna. As I read it was chicken, it’s got my mouth watering! I have everything I need now. After I finish my low carb vegetable soup, I’m making this! I’m so excited!! Can these be veganized with no cheese and flax eggs instead of real eggs? I got a vegan keto cheese dip and no idea what to dip it in?? Hi Lisa, You could use vegan cheese, but I don’t think they’d hold together well enough with flax eggs. Have you thought of stating the serving size in ounces or grams? This way, no matter what the size of the chips are, you can weigh to get the serving size. Then, we can all make our chips any size that works for us. Hi Catie, If you want to do it by weight, just weigh the whole batch you make and divide by the number of servings. I made habanero salsa and needed a chip. I found this recipe and it was absolutely perfect. It made about 75 chips the way I cut them. I will be making these again and again. I love these….but no way did I get 70 chips!!! About 40…and they were paper thin! How in the world did you get that many. Next time I make these I will divide dough in half first then roll out. Maybe I can get them even thinner. They taste great like I made them. Good texture and flavor! I’m taking them to a Christmas party so I can have something to dip in the artichoke spinach dip!! Thank you! Hi Nancy, I’m glad you liked the keto tortilla chips! The number will depend on the size you cut them as well as the thickness. This is now one of my favorite recipes! I made it for a dinner party, but I can’t help but snack on the pieces that were not perfect triangles. Love these!! So easy. I ran out of my p.h. salt, so I substituted seasoning salt. They were awesome. I must’ve overlooked it, but what’s the serving size? Hi Shelby. The serving size is 10 1.5″ chips. I am glad you liked them! Made them, the family devoured them! Great with even the thickest dips! Roll out the dough and it makes our newest KETO pizza crust! I am so happy you liked them! Please come back soon! These are great!! I have gotten to where I leave these a bit thicker then tortilla chips and use them as crackers for eating other things with. 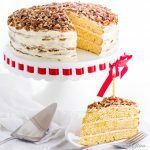 I hope you will forgive me for messing with the recipe a little…I left out the spices and put in cinnamon and some vanilla extract and some erythritol and a bit of stevia. They are great with a cup of tea in the morning! Thanks for a great recipe with so many uses! I am so happy that you liked the crackers, David! Have a great day! We have a nut allergy in the house. Is there a substitute for the almond flour? Hi Kimberly, Unfortunately I haven’t tested this one without a nut flour. Sesame seed flour might work. Hi Rosemary, The measurements are on the recipe card above, right above the instructions. My husband and I both loved these but were wondering, what are the carbs per serving? Hi Marcy, The nutrition info is on the recipe card above – 4g net carbs per serving. I have royally messed this up. Could not no matter what I did get the dry ingredients to incorporate. It was just a crumbly mess. I followed exactly so I don’t know what I did wrong. Hi Jessica, Sorry you had issues with the recipe. It’s hard to say what went wrong without being in the kitchen with you. Can you check the video and let me know what part looked different for you? That might help. I think I know what Jessica did wrong because mine was a crumbly mess too. I microwaved the mozzarella for 20 sec, when it didn’t melt completely, I did it for another 15 seconds and I think it was overdone. When I tried to work it into the dough the oil came out causing the whole mix to be a crumbly mess and I couldn’t even roll it out, not to mention cutting to nice little triangles. Could you tell me how long you microwave your cheese? Great catch on that potential issue, Yvonne! I could see how that could be a problem. Usually it takes about 90 seconds for my cheese to get to the right consistency, stopping 1-2 times during that time interval to stir, especially the sides so that they don’t burn. I have an almond allergy. Do you think coconut flour would work? Hi Christy, Sorry, you can’t replace the almond flour with coconut flour – they work totally differently. You can try sunflower seed flour or sesame flour instead. I have officially given up on trying to find a wholesomeyum recipe I don’t like!. These are great if your expectations are in line. They aren’t tortilla chips. I stuck to the recipe except I went long on all the spices. They are perfect for hummus. A garlic and herb version is in my future and I will use Romano for hopefully a crispier chip. I think Romano will add some serious flavor too. Try cooking them at 400 or until they brown and they just get better! Nice work MAYA! Thank you so much, Patrick! Please come back again soon! These were awesome! I’m not much of a baker/cook but they were super easy even for me. I didn’t have mozzarella cheese so I used some shredded taco style cheese that I had and they kind of came out like Doritos – I will definitely be making these regularly! And now I have something to eat my guac with 🙂 Thank you! I am so happy you liked the chips, Rachel! Can these be made in a dehydrator? Hi Janice, No, because a dehydrator wouldn’t cook them. You need to bake them. I made these three times already and they are great! Still trying to understand whether I like them thick or thin but they do remind me of pita chips. Thank you! I am so happy you liked them, Marina! Prep was a pain for making it my first time. However, well worth it. Better than other recipes I’ve made. So good. I am so happy you liked it, Tony! Please come back again soon! Could you fry these in olive oil? Hi Lanna, I haven’t tried that. I think it would work, but let me know how it goes if you try! This recipe seems very incorrect. The amount of almond flour versus the wet ingredients. I tried it and it didn’t work. Please rethink it. Hi Bonnie, Sorry you had issues with it. I’ve made the recipe several times without issues. I’d be happy to help you troubleshoot if you can be more specific about what step caused you trouble. When I made these the first time I knew I didn’t do it correctly. I realized it was because I didn’t FULLY incorporate the mozzarella. (It tasted great but it crumbled more) You need to literally kneed the ingredients together. Where it looks like there is no mozzarella. Such a great alternative! Absolutely LOVE this! Thank you so much for sharing with us all! Thank you for sharing with us, Kristine! Hey, can I replace it with peanut flour? Hi Rivka, Sorry, I don’t think so. Peanut flour tastes like peanuts, which would be a pretty strange taste for tortilla chips. These chips were fantastic! I will definitely be making these again. And again. 🙂 I found cutting the dough slow; it took me a lot longer than 10 minutes to get these into the oven. I cut the dough in strips and then crosswise to make squares and then halved the squares into triangles. I’m sure I’ll get quicker with practice but I’m curious if anyone has suggestions to speed this process up a bit. Thanks in advance and thank you for the recipe, Maya. It’s a keeper! I am so happy you liked the tortilla chips, Lori! Thanks for stopping by! I use a frozen pizza stone to work on these kinds of recipes. Makes things much smoother and easier to manage. If you don’t have that double stack two heavy sheet-pans together and freeze them and work on that. Great recipe, I love it. Hello! I just made these! I started using a knife for the cutting, but then thought “why not use a pizza cutter?” And it cut the cutting time down to nothing! Plus, I didn’t really care if I had exact “triangles“ or just pieces of dough in any old shape… it all tastes the same, lol! Hope this helps you! Thanks for sharing with us, Kim! I thought these were good but the calories are pretty high for 10. Hi Linda, I’m glad you thought they were good. These are low carb chips, not low calorie, but I find they are much more filling than regular chips, so people tend to eat less. Yay! I am so happy these helped with your cracker cravings, Jennifer! Thanks for stopping by! After you roll out your dough, take a flat cutting board, put it over the dough, and press onto it (or even sit on it!) to help even out your dough! I haven’t tried these yet, but for another almond flour recipe I make, I roll a portion into a ball, then put it in a tortilla press, between 2 pieces of plastic wrap, and press it into a very thin flat disk.. Then I transfer it to a parchment lined baking sheet, and cut it into chips with a knife or pizza wheel, then bake. Works great! Thanks for sharing with us, Cindy! I had the cheese in the freezer and let it thaw overnight. I grated a 1/2 cup and put it in the microwave. It got very watery. Is that normal? Should the cheese totally melt down to a creamy consistency or more watery? Should the water have been tossed out? My dough wouldn’t stick together very well but I still managed to make some chips which were delicious!! I kept the water in the mixture which may have been a mistake. My husband loved them even though they didn’t look very pretty. I’m anxious to try the recipe again. I look forward to hearing back from you. Hi Ann, I don’t recommend freezing mozzarella. It’s too soft of a cheese to freeze well. I do freeze hard cheeses sometimes like cheddar, but never mozzarella. The melted cheese should not get watery, and it likely impacted the dough. I’m glad your husband still loved them and hope you’ll try it again! Hi, I want to try making these today but don’t have mozzarella cheese. Could I use cream cheese instead? Hi Rebecca, Sorry, I wouldn’t recommend substituting cream cheese, as it’s quite different. For this recipe you need mozzarella. These are awesome! We are having a family gathering tonight with “heavy” appetizers and I decided that I really wanted to partake in the dips so I decided to try these. So yummy! A little labor intensive since I had to bake them in about 5 batches but it made about 70 chips, so not too bad. I doubt these will last long. I love to hear that, Beth! Thank you! Hallo Maya, I just wanted to thank you for the lovely recipe. I am allergic to almonds, so I used 1/2 cup coconut flour instead and added another 2 eggs plus some milk (probably 60ml) for moisture – that worked out perfectly! I am so happy to hear that! Thank you for stoping by! How could you make this with coconut flour instead? Hi Sydney, Sorry, I don’t have this recipe adapted to work with coconut flour. I’ll add it to my list! Hi Sarah, They are fine on the counter for a day or two, but best in the fridge beyond that. They’ve stayed crisp for me in an airtight container. This worked fantastically. Just made these and they’re awesome. I hope you like them, Alisa! So we made these chips and they were great. The metal cookie sheets we used were aluminum so they took quite a bit longer to make than expected but in the end we loved them. We’ve since started cooking them on a stone pizza round which works awesome. So awesome in fact that we’ve changed the spices around a bit, took out the Cumin, added Italian seasoning and have been using this exact recipe as a pizza crust. Not sure if anyone has tried it this way but works really really well! Hi Chuck! Thanks for sharing and I am so happy you liked the chips! Hello, I may not know how to word this, tortillas are a huge part of our diet, in my family. I thought I had to give up tortilla chips forever. I guess I have a two-part question. I like my chips and tortillas to be flavorless and plain (no salt). Can this recipe be made without the spices and the cheese or is the cheese an absolute must, not for flavor but for texture/ consistency? Hi Lizzy, You can skip the spices if you want to, but the cheese is a must for consistency. I haven’t tried this recipe as soft tortillas, so please let me know how it goes if you try. Your recipes are amazing! I swear by them all, there is not one thing that I have made from here that I haven’t liked yet. 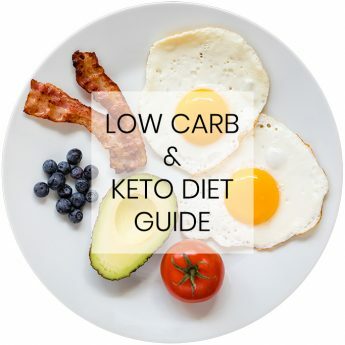 I am on keto and find it really hard to find recipes that are good! So thank you for the great recipes! Nutrition facts don’t give portion size? Please let me know how many servings are in the recipe or the weight of the serving size. Thanks. Hi Maru, the serving size is on the recipe card. Ten 1.5″ chips are one serving and the recipe makes seven servings. These came out great! I wanted to bring some along with me when I travel, do I store them in the fridge or can I leave them on the counter in a seal tight bag? Thank you, Michelle! They are fine at room temperature for a couple days, but beyond that it’s best to keep them in the fridge. These came out better than I thought they would! I subbed sharp cheddar for mozzarella cause that’s what I had and they were awesome! Thank you, Rhianna! Sharp cheddar sounds great! I just made these and they are so yummy! Thanks for the great recipe!! Hi! Sounds delicious, I’ve been wanting something like this. I’m just starting this LC WOE so I’m eager to learn all I can! Question: What would be good substitutions for vegan eating/if it can be done?!? Hi Cheryl, You could try a flax egg and vegan cheese substitute. I haven’t experimented with this so not sure if it would work. Let me know how it goes! Hi. Thank you for the recipe. I plan on making these when I get home. Did you use packaged, shredded mozzarella? Hi Heather, Yes, I used pre-shredded mozzarella. You can do that or pre-shred it. Just don’t use high-moisture fresh mozzarella. Can you substitute the almond flour for coconut flour? And if so would it be the same amount? Thanks! Hi Julia, coconut flour generally isn’t a good substitute for almond flour so I wouldn’t recommend it for this recipe. Tried it using Christopher’s suggestions. Just made again following original recipe. Looks AND tastes so good following original recipe. Good with everything that I would eat with a chip or a cracker. Yum! Thank you, Dawn! I’m glad you liked them! Wow, you nailed it! Left out the chile powder and substituted garlic salt for the garlic powder. My husband and I could barely wait until these cooled enough to eat. Will try cheddar next time. Yum! Thank you, Linda! I’m glad they were a hit! I also press them in a tortilla press to get them thinner. They make great taco shells or tortilla chips. I leave them a little softer for taco shells. So light and crispy!!! Thank you, Christopher! I’ll have to try your version sometime! Christopher – what changes did your ingredients make to the original recipe? Are the items you add in your version in addition to all the other items Maya adds? May i ask what the psyllum husk powder ads to the recipe? Better binding? Lightness? Thanks for the variation on recipe. I’m allergic to almonds—would coconut flour work? Hi Felicia, you can try sunflower seed flour or golden flaxseed meal instead of the almond flour. Let me know how it goes! I just made these to go with my crustless low carb taco pie. I forgot to buy mozzarella cheese so had to use sharp cheddar instead. Mine look just like yours but ended up tasting just like Cheese Nips, same texture even, which is not necessarily a bad thing. I wonder if they would have tasted more like a tortilla chip if I I would have used the mozzarella? Either way, not a fail, they were pretty good. I’m glad the cheddar worked for you, I’ll have to try that next time! Looks delicious–found some shredded Monterey Jack the other day; might use that. Sounds delicious, let me know how they turn out! Has anyone tried a substitution for the cheese, like an additional egg? Hi Cheryl, I haven’t tried that but let me know how it goes if you do! I proclaim you as my LC Guru! I started my recipe search about a month ago. I was seeking and have collected LC/LowSugar recipes to make when my sister visits; she is diabetic. On that journey, although I am not diabetic, I do have some pounds to lose and more importantly, have begun to notice the amount of refined carbs IN MY DIET that I CAN get rid of! So, I have decided to start a LC plan for myself but wanted to “arm” myself with recipes such as these chips because I know my weaknesses! Further, your site has given me such inspiration to try and even modify my own recipes such as my holiday toffee! Thank you, Theresa! 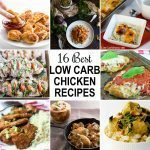 I’m so glad you like my recipes and I wish you so much luck on your low carb journey. Let me know how your holiday toffee turns out! I buy Mission brand tortillas with 3 net grams of carbs and cut the with kitchen scissors and bake till crispy. EASY PEASY. Hi Jean, Thank you for sharing this option, but there are several reasons I don’t use this method. Store bought low carb tortillas are made with wheat, modified food starch and soy, all of which I prefer to avoid. Of course, it comes down to personal preference. Yes JC, if you try the flaxseed meal please let us know how they turn out. Wonderful…anyway to make it nut free? Hi JC, You can try sunflower seed flour or golden flaxseed meal instead of the almond flour. Let me know how it goes! Hi Reena, No, coconut flour would not work the same way here. You could try ground sunflower seeds if you want them to be nut-free. 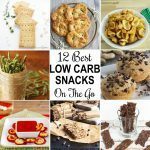 I’d pretty much given up chip on low carb. These look very tempting though. I wish someone would start bagging & selling these! Great recipe, Maya. Thank you! I agree, it would be awesome to buy these pre-made!